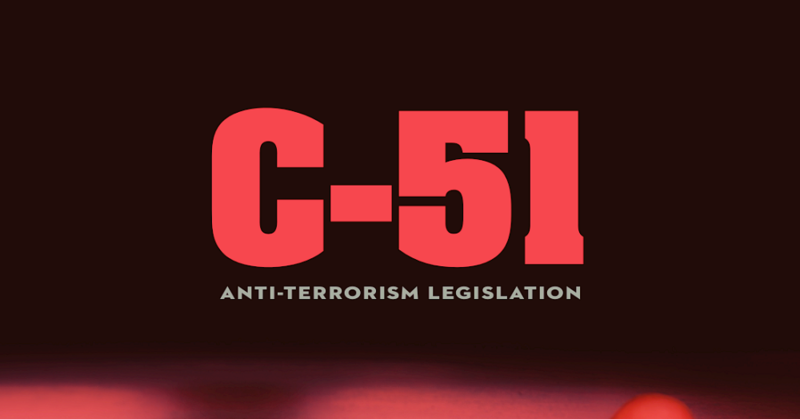 Bill C 51 is also known as Anti-Terror bill 101 and is a constant subject of debate all over Canada. There are numerous issues which are surrounding the bill and for the same reason, a common Canadian is not ready to accept it wholeheartedly. There are many issues with the bill but before we delve deep into the subject it is very important to understand what Bill C 51 really is? What it stands for? And why the conservatives are so eager to add this bill to their political portfolio. The most important point to understand in this regard is that the scope of anti-terrorist acts is very broad in Canada. What Bill C 51 really is? It is the anti-terror bill that was first of all discussed in 2015. It is a matter of constant debate in the country. The people are not ready to accept the changes which are being made in the name of this so-called law. Most of the members of the Canadian parliament are of the view that strict laws must be implemented to make sure that home becomes safe and secure. In October 2014 there are two attacks on Canadian soldiers. Charlie Hebdo attacks in Paris added fuel to fire. Low-risk law implementation is the main reason for Bill C 51. According to Bill C 51, the Canadian law enforcement agencies will get greater control over the privacy of the users of social media. It is not the only feature which makes this bill controversial. The CSIS will also be able to snoop on the people above and beyond their usual powers. It will definitely create a sense of panic among the human rights organizations in Canada. On the other hand, some former primers of Canada are of the view that instead of Bill C 51 greater and stronger observation of CSIS is the need of the hour. Greater control of Canadian Security Intelligence Service has definitely raised eyebrows of common Canadian. It is for the same reason that as soon as the content or the intention of the government was made public protests erupted in various Canadian cities. The information sharing clause of Bill C 51 is the most terrifying one and for the same reason, it should never be implemented at all. The CSIS will be able to access any information of any Canadian whatsoever which makes Bill C 51 very much upsetting. Bill C 51 is definitely a problem to a common Canadian and therefore necessary measures must be taken to make sure that the clauses are amended. The bill itself is a good initiative by the Canadian authorities but tweaks are definitely required. Terrorism is never acceptable in any form and the authorities should note that the terrorists have no religion at all. Again this is a matter of debate and therefore must be included in the minutes of parliamentary meetings. Failing to do this can cause issues to common Canadian which is not acceptable. Next Why do Liberals support Bill C 51?